“Lose weight, get fit.” – The quintessential New Year’s resolution might get a boost in 2015 with the help of wearable fitness trackers that were hot gifts during this past holiday season. In the last few years, Fitbit, Jawbone and Nike Fuel Band have completely opened and changed the market for wearable activity trackers. Unlike our parents’ prehistoric pedometers, these sophisticated motion sensors use Bluetooth technology to communicate data to smartphones to count daily steps, burned calories and even sleep patterns. One of the most popular aspects, though, is the social aspect. Users can create and join communities, compete with their friends and stay motivated to be fit in a culture of fitness. Trackers highlighted a sociological phenomenon: people tend to behave better when they are being observed. Wearables act as electronic hand-holding devices that remind the user to mind their habits (and perhaps change them); however, they do not handcuff people to their treadmills. 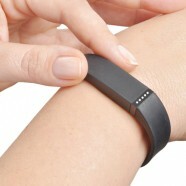 The theory seems to be working; Fitbit says its users take 43 percent more steps than they did before they bought one. Outside of the fitness gurus and weight loss seekers, wearables have the potential to break through the market by partnering with health insurance companies. Although trackers and insurers may not seem like an obvious combination, employers are seeing the benefits with the rising rates of health insurance. An increasing number of employers use the data collected by these fitness trackers as part of their corporate wellness programs. Fitbit, the leading corporate tracker, specifically began working with employers after Autodesk approached the company about using its bands as part of Autodesk’s cooperate-wellness programs. Today, Fitbit sells its bands in bulk to employers at a large discount. Petroleum company BP has also been using data collected from Fitbit to offer discounts on health insurance to its employees. In fact, last year BP gave away free Fitbits to 14,000 employees, 6,000 spouses and 4,000 retirees. The corporate wellness program brought BP America’s healthcare costs below the U.S. average growth rate of six percent. Although Fitbit is the leading tracker, this fitness culture certainly leaves room for other wearables to partner with companies and corporations. A healthier and happier workforce leads to fewer sick days, an increase in productivity and an overall better work environment. Glenn Riseley, President and Founder of the Global Corporate Challenge (GCC), wanted to encourage employees to make lasting lifestyle changes and permanently improve fitness and wellness in the workplace. GCC did this through a program where employees were broken up into teams of seven, creating a virtual competition. Wearable devices tracked each team’s steps for 16 weeks. With health insurance costs on the rise, Fitbit sales to employers is now one of the fastest growing parts of the business. Some employers have even started exploring the idea of punishments for unhealthy behaviors recorded by the wearables. Health monitoring does, however, put wearables in a gray area for employee privacy. For that reason self-insured employers like BP and even employers with group insurance have brought on population-management firms to manage the data collected as neutral third parties. Yes, of course I couldn’t live without it.